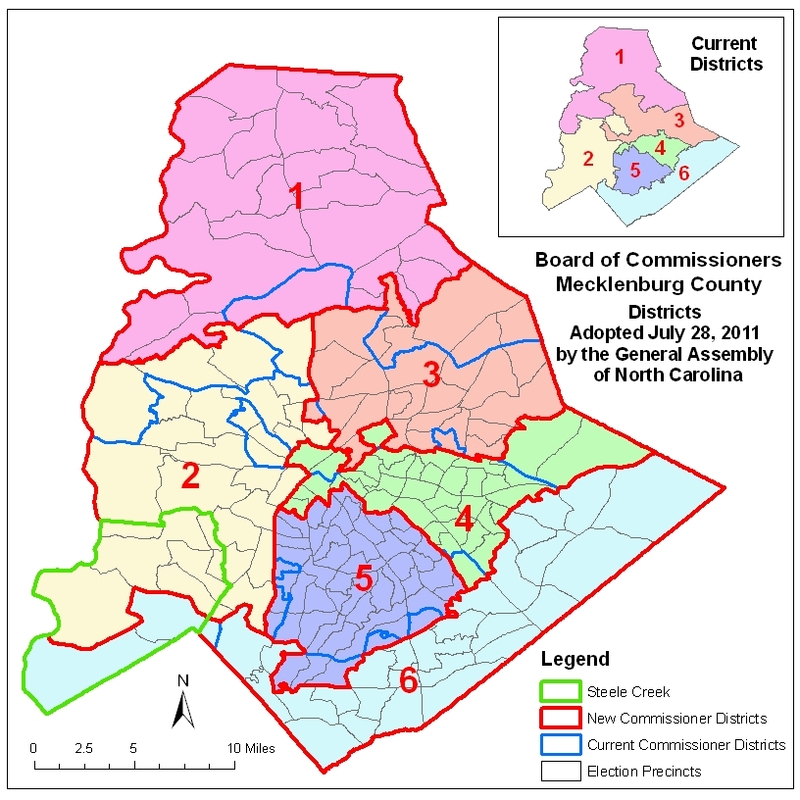 (July 29, 2011) Yesterday the North Carolina General Assembly passed House Bill 719, which establishes new districts for the Mecklenburg Board of County Commissioners, bypassing the County Commission, which had established a process for delineating the districts. Redistricting was necessary to make the population of each district equitable based on population shifts since 2000 as shown in 2010 census results. 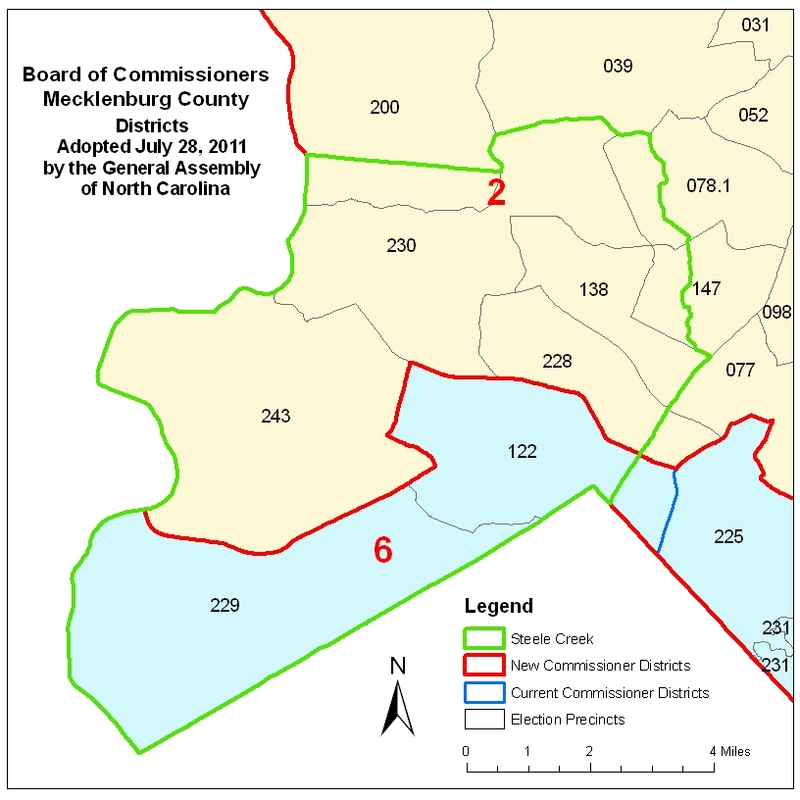 The maps below show the new districts. Click on either map to see a larger, pdf version.